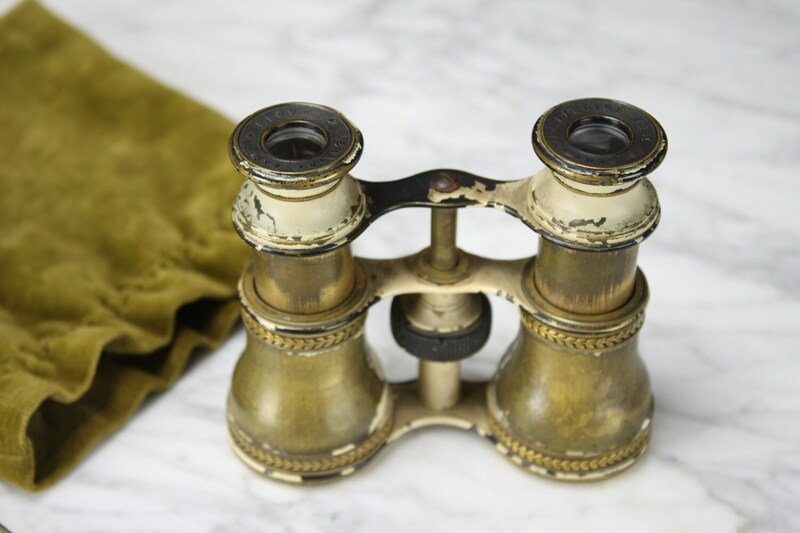 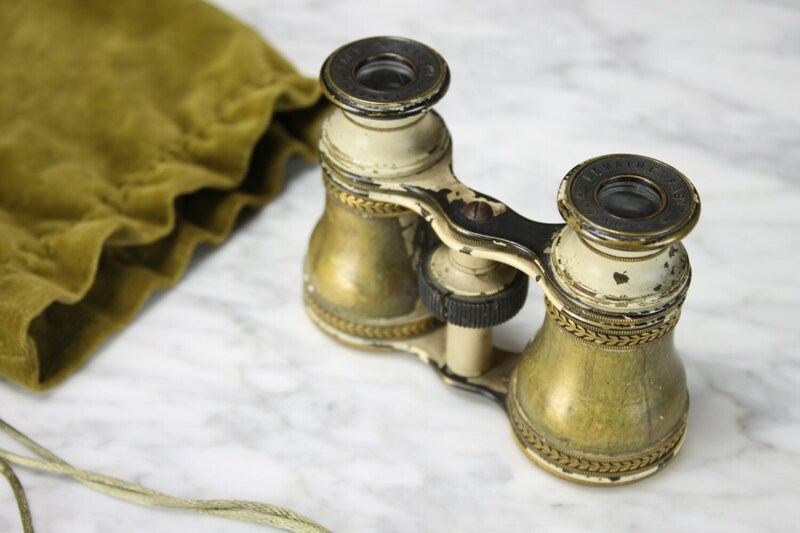 These beautiful victorian opera glasses are a prime example of 19th century Parisian craftsmanship! 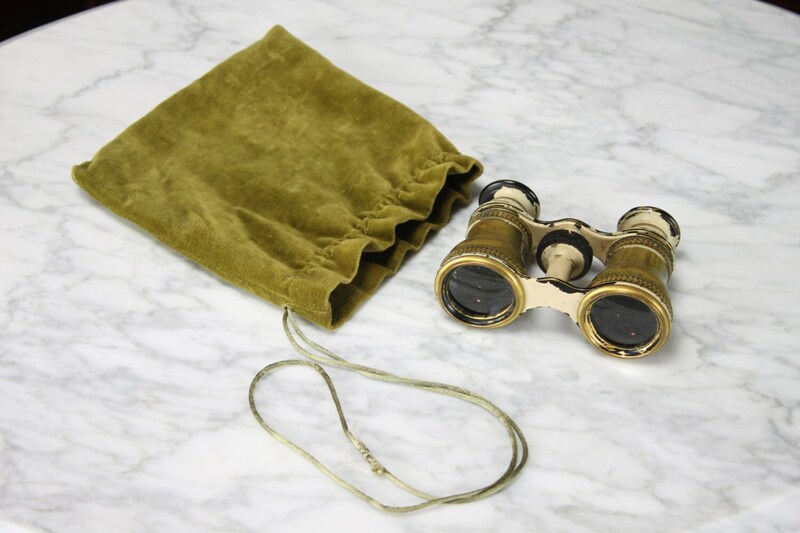 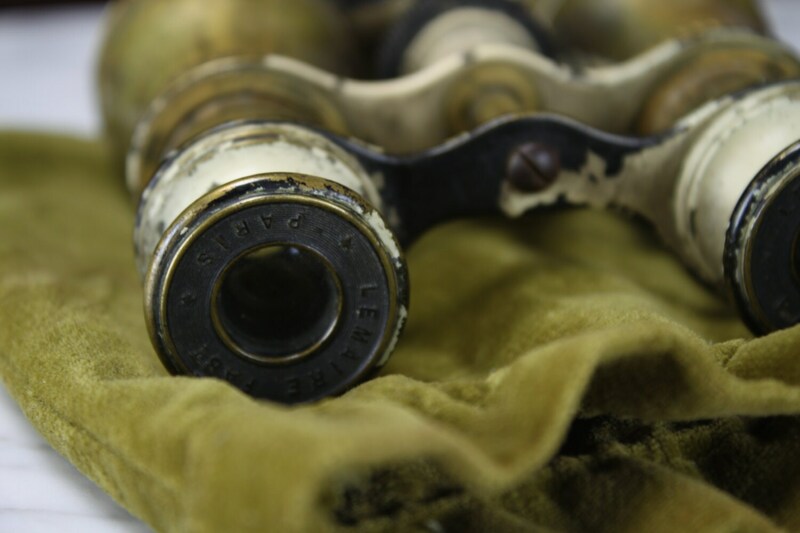 These stunningly crafted opera glasses feature engraved floral bands, stamped lens mounts & bakelite focusing wheel. 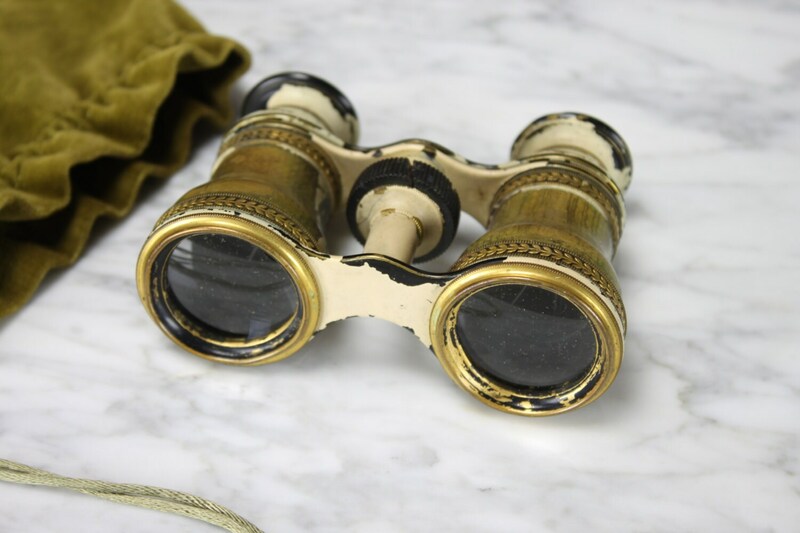 With that perfect "worn" & "Chippy" look - these glasses would be the perfect accent for a Dieselpunk, Steampunk or Post-apocalyptic cosplay!